Just after Christmas I was at the bookstore with my mom when I spotted an amazing magazine: The Amigurumi Collection published by Inside Crochet. Truth be told, I was too frugal to buy it for myself, but my mom, knowing that I would love it, bought it for me and surprised me with it before I went for surgery. I promptly bookmarked all the animals that I want to make (the girls willingly helped me with this) and then headed to the yarn store to stock up on crochet cotton. 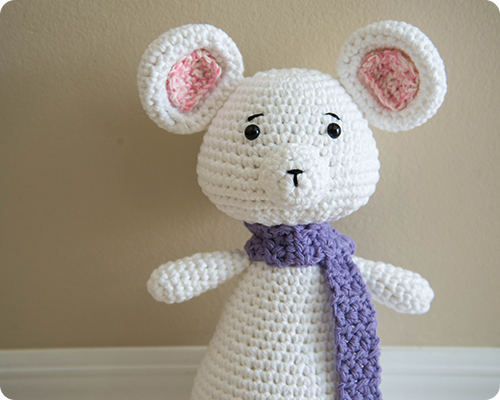 I actually made him for Claire; she adamantly requested a purple scarf, and has named her new friend Bo Bo. He is quite a bit bigger than I expected, standing about 12 inches tall, the perfect size for Claire cuddles. I really love him. The pattern was fairly simple and the finishing was not too bad. When it comes to making amigurumi toys, I find sewing all the arms, legs, ears, tails, and any other pieces in place to be the most challenging, mostly because I am a perfectionist and am constantly checking if everything is placed correctly. The only thing that gave me trouble with this guy was the ears, they were a little tricky, but came out good in the end. 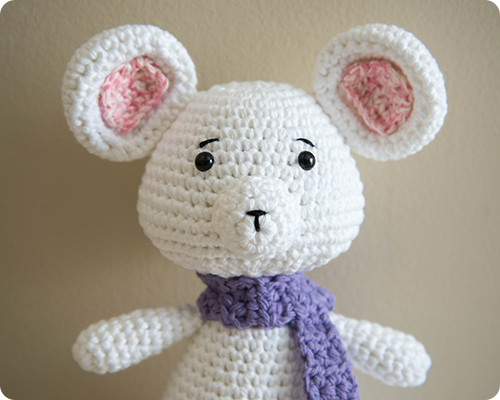 Oh, and one thing that was pleasantly different with this pattern compared to other amigurumi patterns that I have done, is that in this case the head and body are crocheted as one piece rather than separately. This eliminates the need to sew the head to the body and fuss around with making sure that the positioning is correct (see above); though I did need to make sure that the neck was stuffed quite firmly so that the head stayed upright. 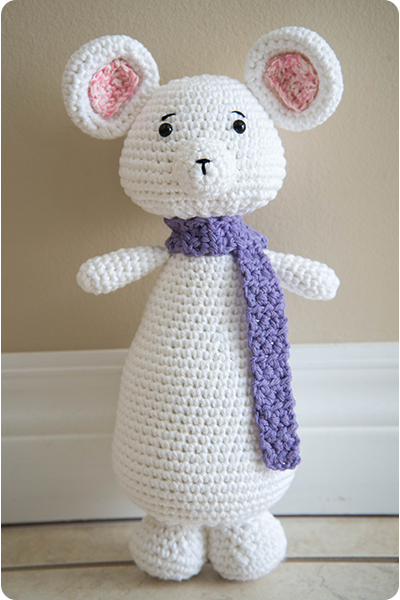 With my new magazine and the load of crochet cotton that I bought (yes, I got a little carried away), I can see a few more amigurumi friends in my future. Which is okay with me because they are just so much fun to make! Thanks Leslie...I have to agree with you.